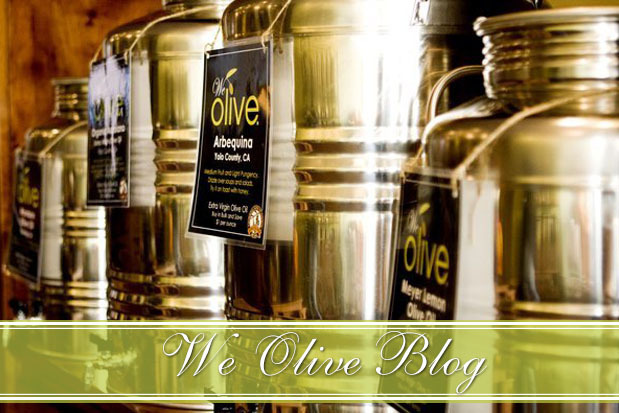 We Olive San Luis Obispo is located on the California Central Coast, right in the heart of Downtown San Luis Obispo, or SLO as the locals call it. Since August 2007, we have provided our customers with exceptional products and superior customer service. 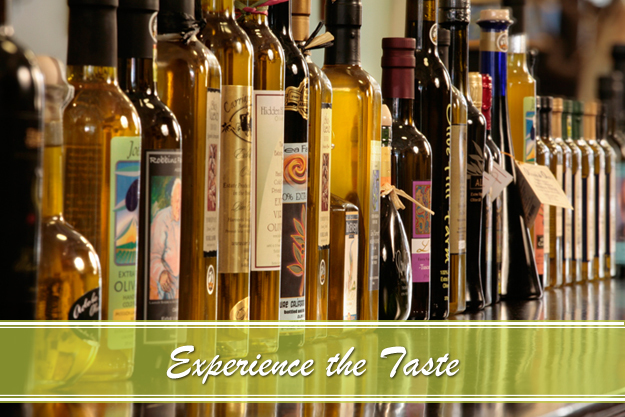 All of our olive oils are California grown and Certified Extra Virgin by the California Olive Oil Council. Many of our oils are grown and pressed right here in the Central Coast, providing nutrient-rich products that support local producers. Our most popular items include our fabulous house products that are sold by the ounce so you can cook and eat like a gourmet chef with out breaking the bank. 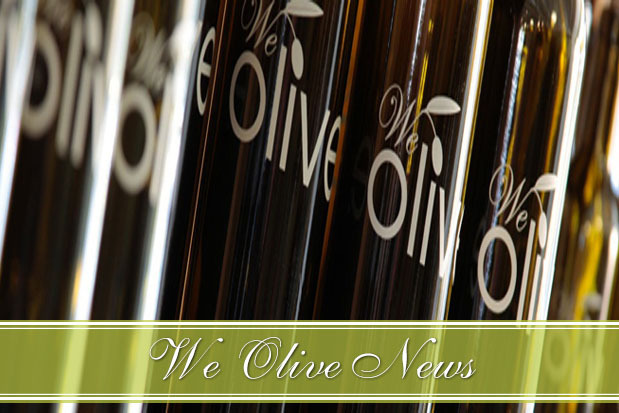 We have something for everyone, from a fruity Arbequina oil that won Best of Show in the Los Angeles International Olive Oil Festival, to the number one product in our store–a mind-blowing 18 year aged balsamic vinegar. Come in taste for yourself! 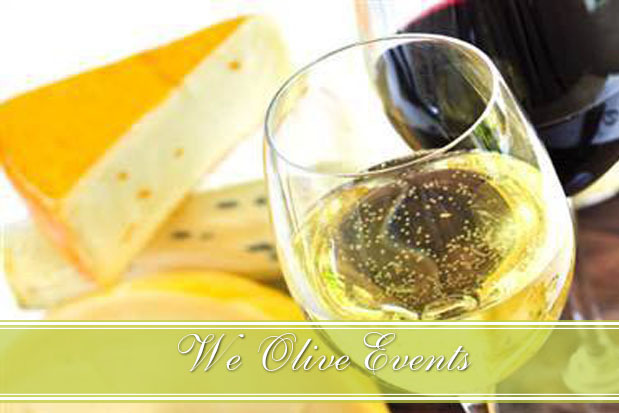 In addition to our stock of over 40 different kinds of tasty extra-virgin olive oils and tangy vinegars, we carry olives (stuffed or plain), tapenades, mustards, jams, spices, salts, kitchenware, body products, and candles. 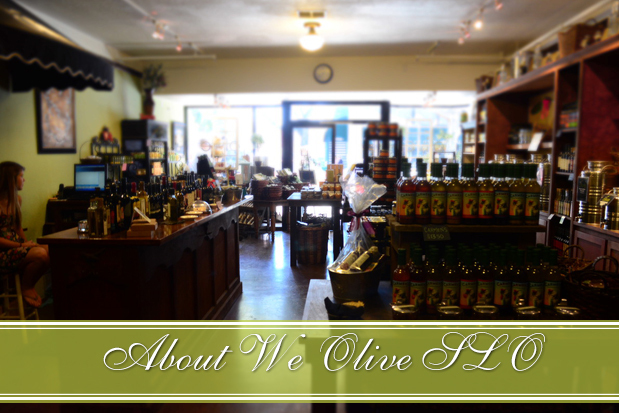 We invite you to join us at our store in Downtown San Luis Obispo to explore what we mean by the ‘We Olive Experience,’ and taste what the Central Coast has to offer you!